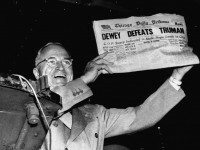 Journalists, friends and colleagues recall Harry S. Truman’s remarkable upset of New York Governor Thomas Dewey for the 1948 presidential election. President Harry S. Truman gives a speech about the ‘unity of determination’ and ‘finding a way to end war’ at the San Francisco Conference on June 26, 1945. 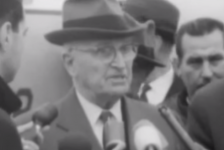 Hear President Harry S. Truman’s address about the importance of implementing of the Marshall Plan after the end of World War II. 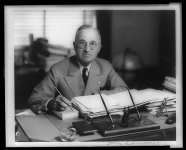 Truman signed the Marshall Plan on April 3, 1948, authorizing $5 billion in aid for 16 countries affected by the war.